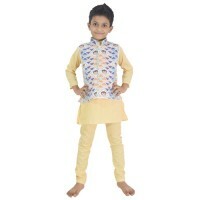 Green Gold presents this exclusive Elegant three piece set for your prince. 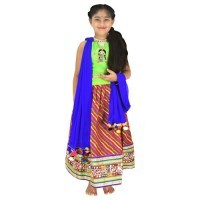 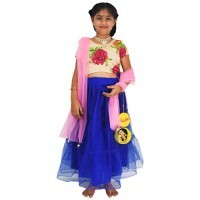 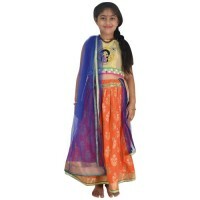 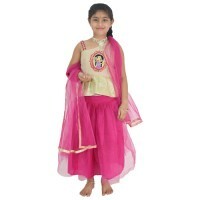 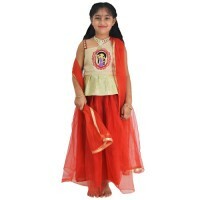 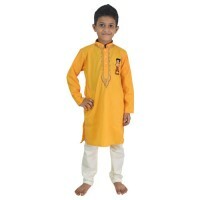 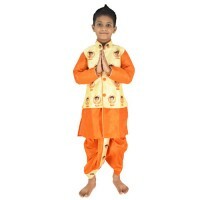 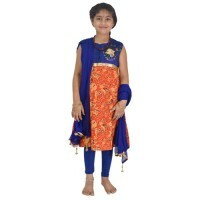 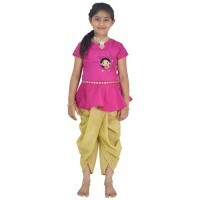 Set contains a party wear Full sleeves print kurta and matching pajama with striped Waistcoat for your kiddo. 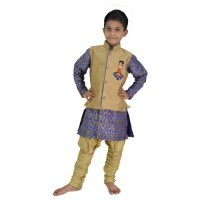 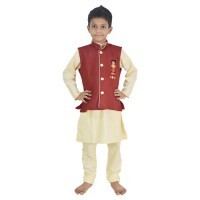 Made from Banaras brocade and silk.The outstanding sherwani features Handcrafted with beautiful button detailing, striking print of Chhota Bheem and it has mandarin collar design. 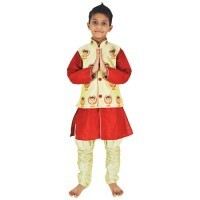 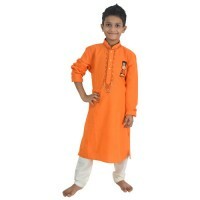 These ethnics wear for boys are quite comfortable to wear and skin friendly as well.It will give your rockstar fabulous ethnic look. 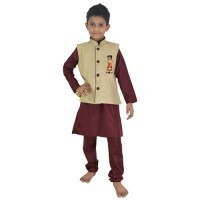 So, grab this limited edition Ethnic set (Kurta, Waistcoat and PyjamaSet) and make you little boy centre of attraction this festive season.